This gun is great. 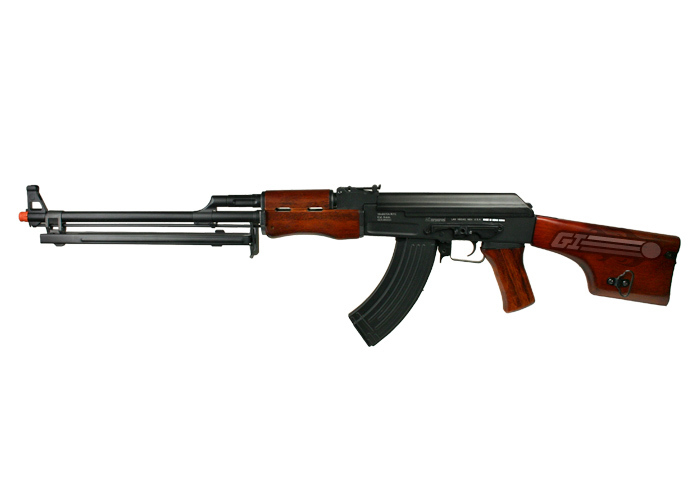 For starters this gun is full metal and real wood. 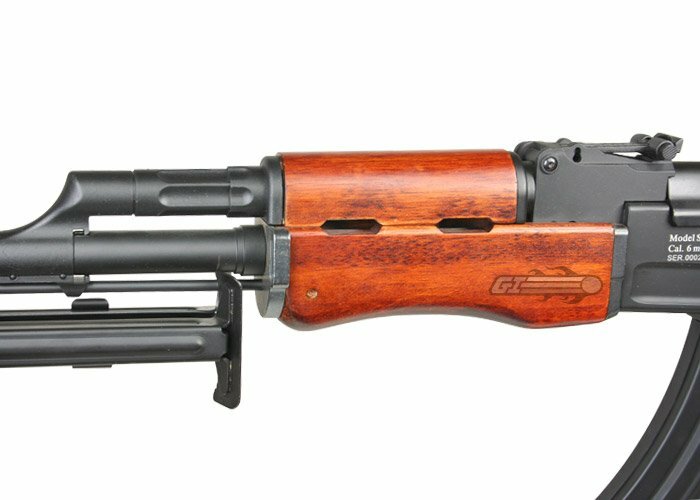 The outer barrel is steel and is quality along with the flip down bipod. 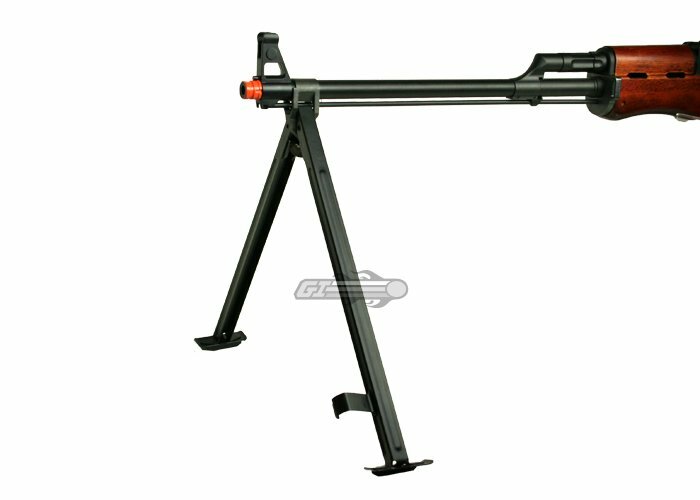 All you have to do is unlatch the bipod guard and the spring loaded bipod legs swing down. 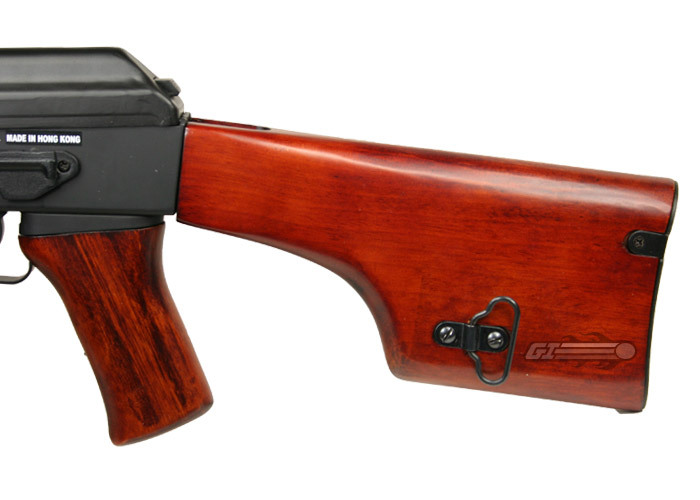 The wood is very nice and enhances the realism and gives a classy finish to the stock, grip and handguard. There is some low quality pot metal mixed into the top part of the receiver but overall it is very well built. In its stock form it shoots well, I was impressed with the and accuracy. The hop up is poor like on most CAs but the rof is good along with its power and grouping. The battery is housed in the stock which is a funny size so it would be best if you get a custom battery like i did. This gun benefits from having a superior gearbox and many parts being compatible for upgrades. 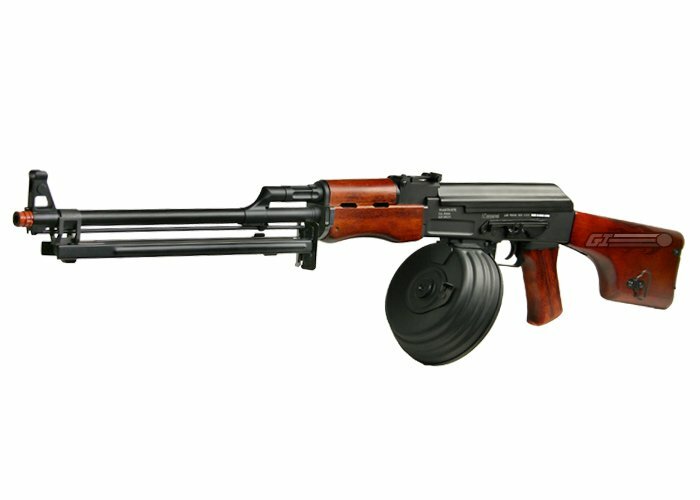 Although this gun is well constructed, CA did not put much effort into the realism in terms of the trade marking. 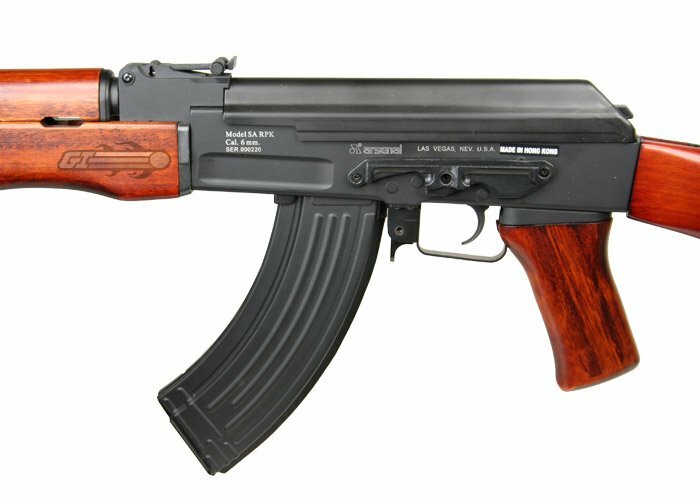 On the real Ruchnoy Pulemyot Kalashnikova it does not say things like "6mm cal" and "made in las vegas" on the body of the rifle. 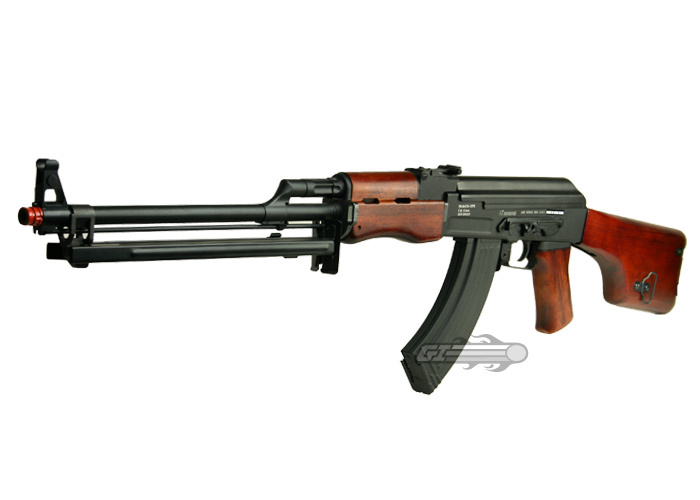 It might be a little pricey compared to the src/tsd rpk but one look at this rifle and your sold. 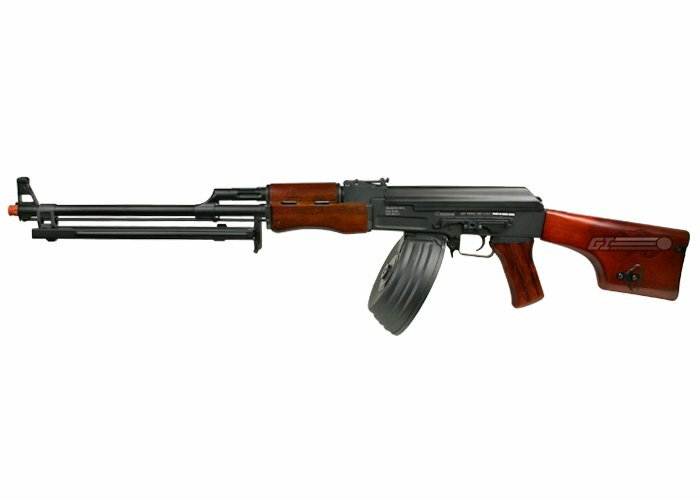 If you are looking for a support gun with a soviet flare or just something awesome in the AK series this is your gun.